Hunting festival. Men in traditional dress at the Salburun (hunting) festival near Bokombayevo, Kyrgyzstan. 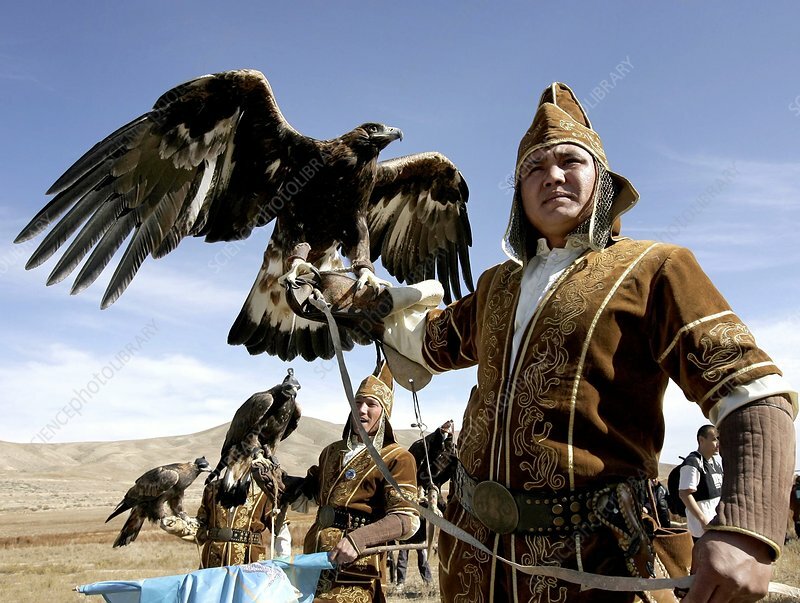 Participants demonstrate their skills with traditional hunting methods using golden eagles (Aquila chrysaetos).